Comprehensive review of Bondi Sands Ultra Dark Foam. See what real experts and actual users have to say about this self tanning product. Comprehensive review of Freshly Baked London Watermelon. See what real experts and actual users have to say about this self tanning product. 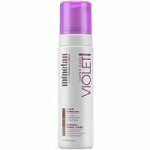 Comprehensive review of Mine Tan Violet. See what real experts and actual users have to say about this self tanning product. Comprehensive review of Evagloss Self Tanner. See what real experts and actual users have to say about this self tanning product. 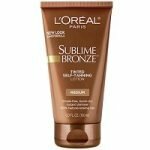 Comprehensive review of L’Oreal Sublime Bronze Tinted Self Tanning Lotion. See what real experts and actual users have to say about this self tanning product. 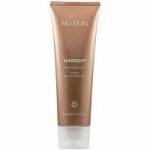 Comprehensive review of Nu Skin Sunright Insta Glow. See what real experts and actual users have to say about this self tanning product.